Thanks for another great TFI Conference! 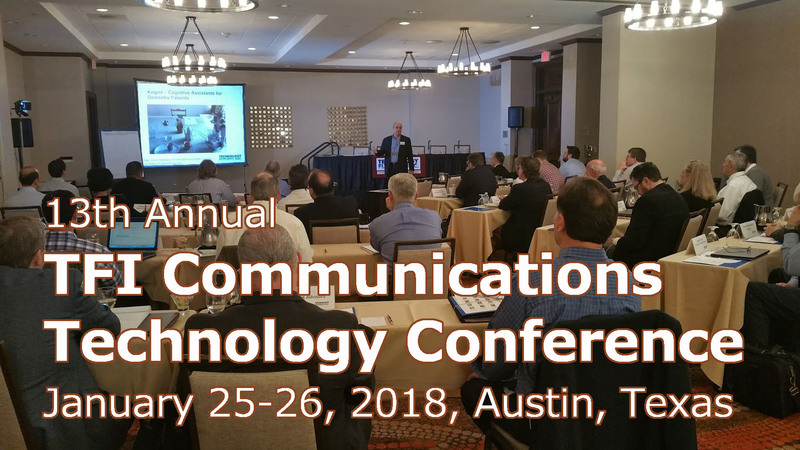 13th Annual TFI Communications Technology Conference, on January 25-26, 2018, in Austin, Texas. It was a fun and fabulous few days! Special thanks to our keynotes Jeffrey Andrews and Mohammed Ali, special guest Iain Gillott, and all the other fabulous speakers. We also greatly appreciate the support of our conference sponsors AUS, Costquest, and Deloitte. Please visit our 2018 TFI Conference page to view presenter bios, presentation slides and videos! And be sure to see the 2018 Conference photos on Facebook. Thanks again for your interest in TFI and our conference.